Go "whole hog" at Apricot's in Farmington with their BBQ & Brew menu. BREWIN' UP SOME CUE: There's nothing better than some mouth watering barbecue. 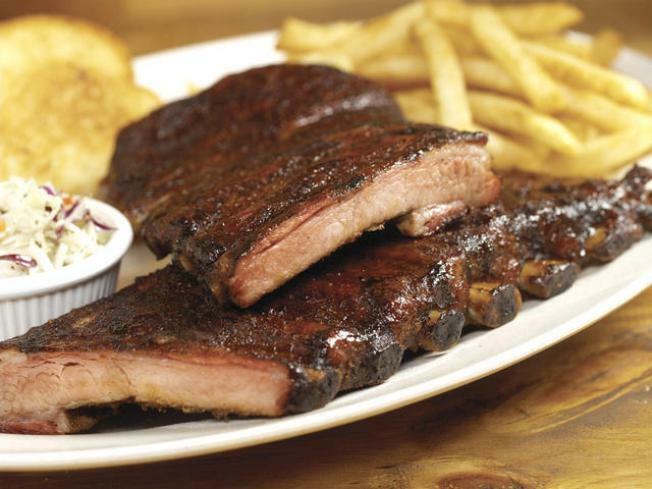 Nothing, except mouth-watering barbecue served along side an ice cold adult beverage. Start your week off right with some BBQ & Brew inside the Pub at Apricot's in Farmington. Enjoy Chef Lee's famous barbecue, as well as great beer and drink specials. 5:30-9:30pm. FEELING FRESH: The Firebox Restaurant in Hartford is being transformed into an intimate, casual gastro pub for their Market Mondays. The evening features a four-course tasting meal designed by Firebox's sous chef Matt Brodeur. The concept behind the menu is simple: feature farmers market fresh food, spotlighting the best local and seasonal ingredients available. The prix fixe meal costs $35 per person, and reservations are recommended. 5-10pm. GETTING DIRTY: Looking for a little rock 'n' roll to jump-start your week? Mohegan Sun is your place to be tonight. Phil Dirt & The Dozers are taking over the Wolf Den. The band features a vintage rock show, encompassing three decades of great music. The band prides themselves on a sophisticated, yet light-hearted approach to their live performances sure to please people of all ages (though you have to be 21+ to see this particular show.) Tickets are free. 7pm.